Not to dwell on the scarcity of posts because of diverted interest (haven’t had time to brew beer since before Christmas either) I think it’s time to drop a line or two about recent mushroom hunting adventures. 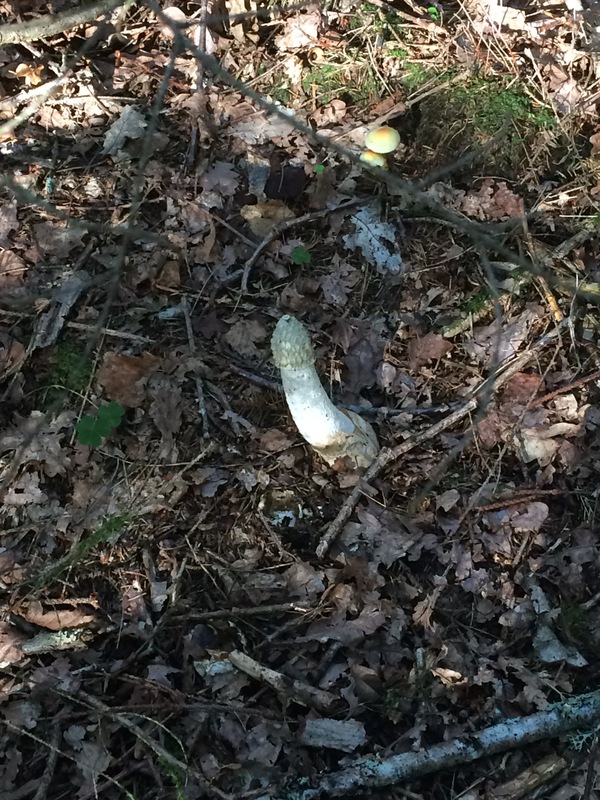 I enjoy mushroom hunting very much and view it as upholding a tradition inherited from my grandmother. With kids and school and work and whatnot there hasn’t always been time lately though. 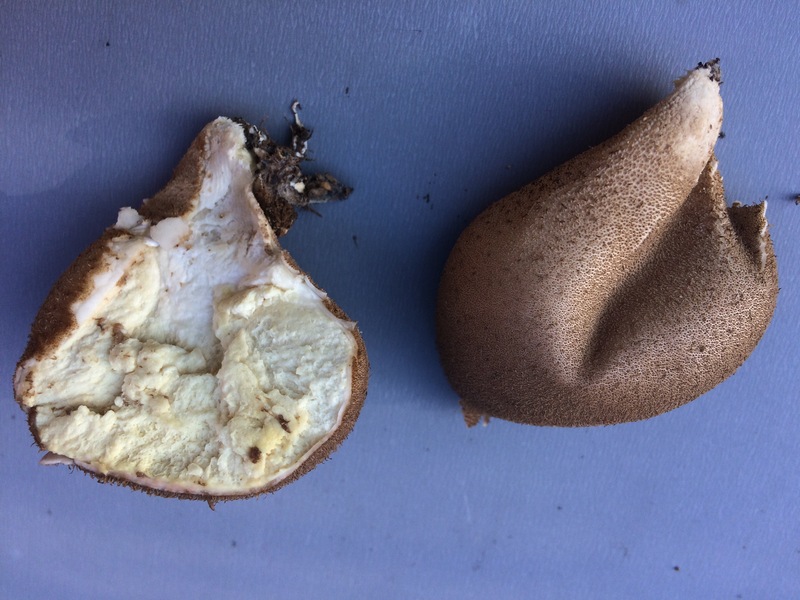 For example, 2014 was a legendary year for King Bolete here, but I didn’t manage to pick a single one. 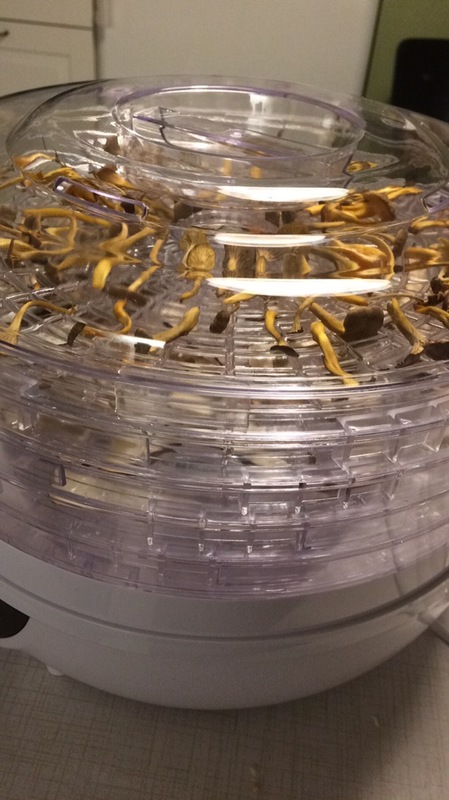 This year I forced action by buying a dehydrator and introducing a mushroom theme in my teaching. Also, NC junior, at three and a half, is big enough to move around on her own in the forest. From the new forest we got our first batch of dehydrator material. 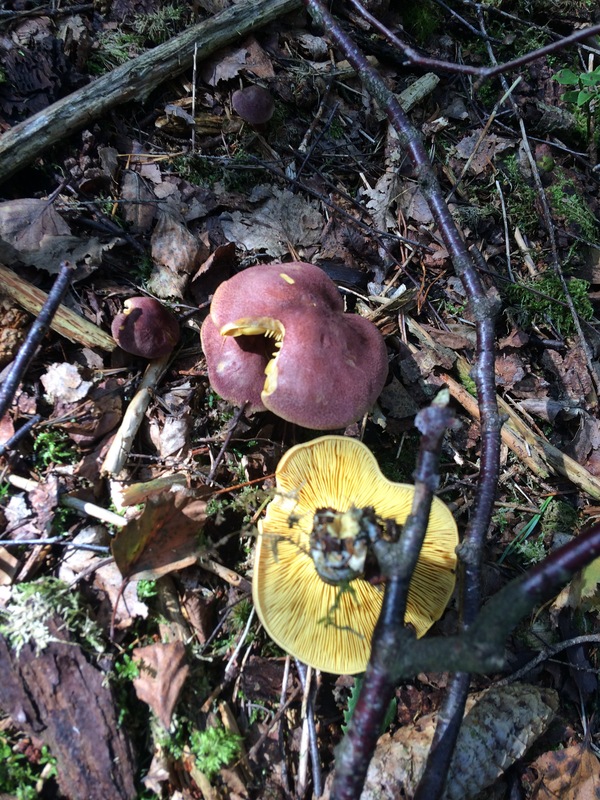 Yellowfoot, king bolete, bay bolete and orange birch bolete. Golden chanterelles don’t dehydrate well. 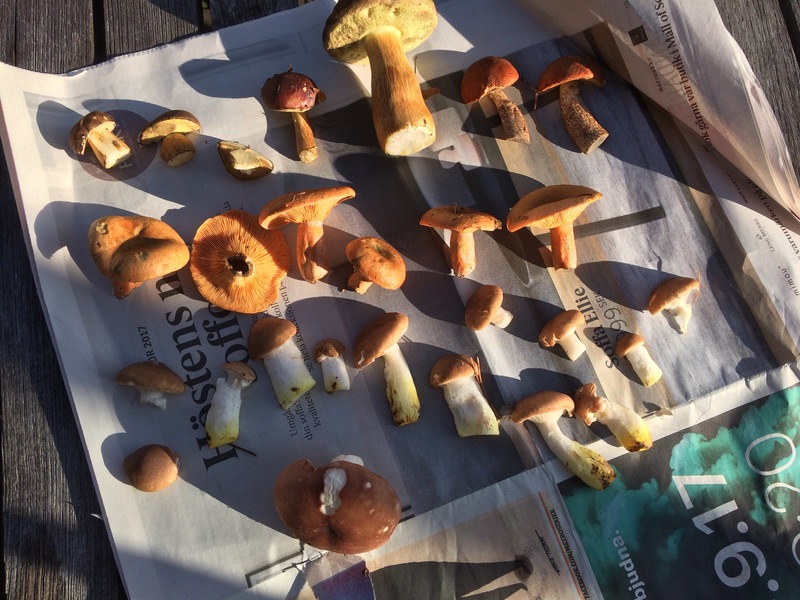 Sunday took us closer to home, to an area we tried last year, resulting in three chanterelles and five lingonberries. 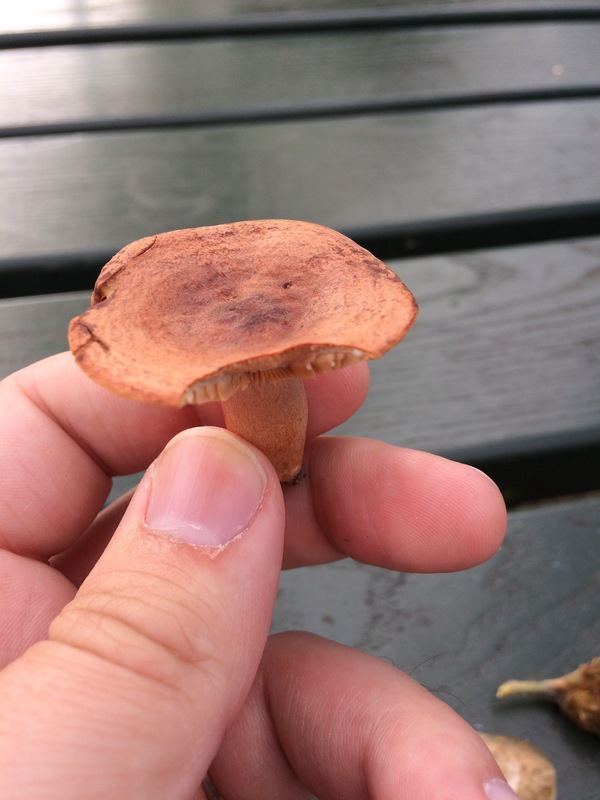 A well visited neck of the woods, we correctly assumed most boletes and chanterelles would have been picked off already. 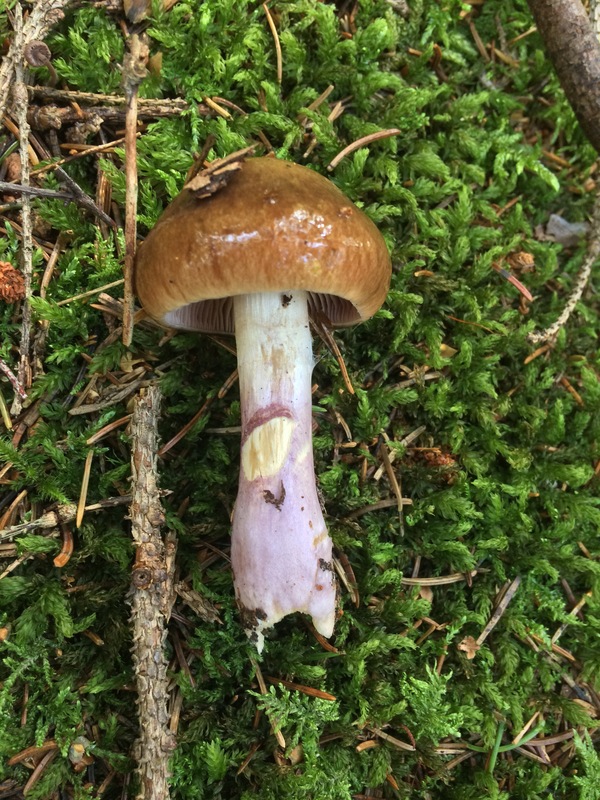 Luckily, less widely known tasty mushrooms, like orange milk-cap and slimy spike-cap were still available, as well as a few bay boletes and spruce bolete. That’s picking and drying done. So, what about cooking? The dried ones were of course saved for later as dried mushrooms keep indefinitely. 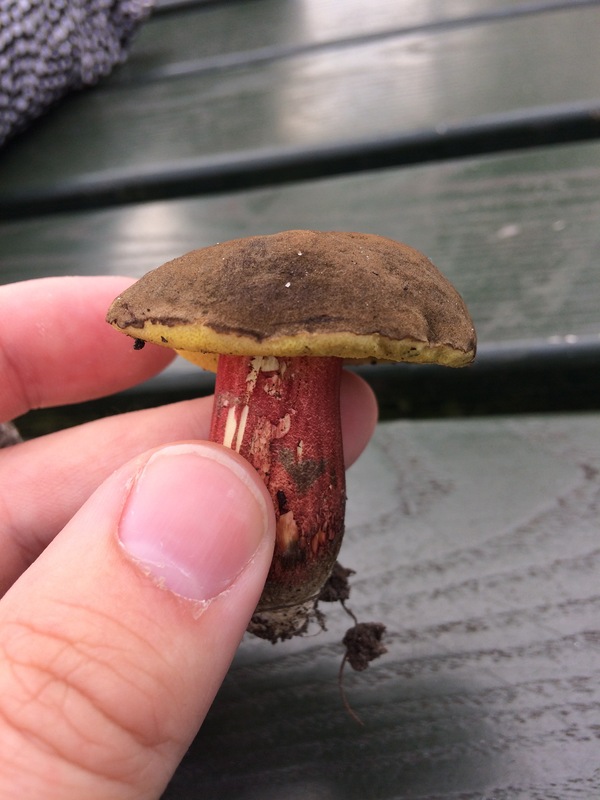 The milk-caps, spike-caps and a bare-toothed russula (apparently also known as The Flirt) went in the pot instead since they don’t dry well. Terminology is unclear, but I’d call what I did parboiling. Simply put chopped mushrooms in a pot, add some salt and heat. 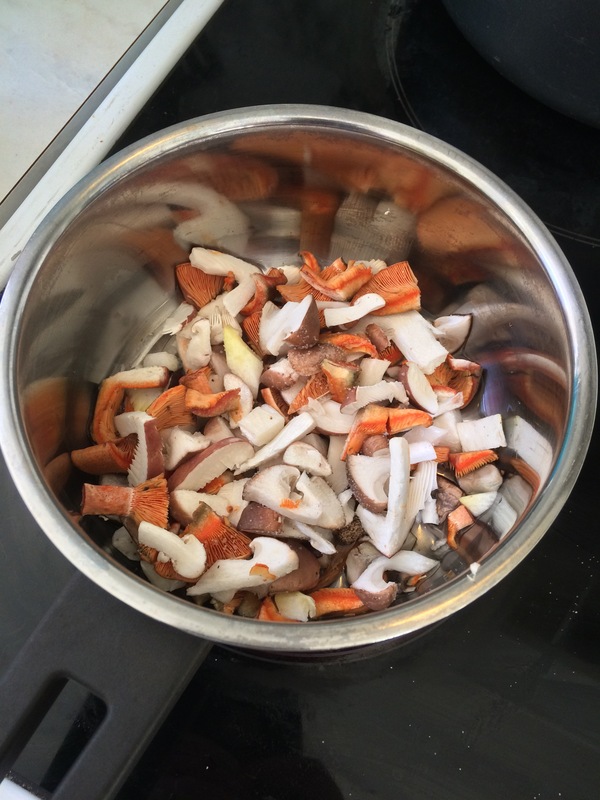 The mushrooms will start sweating and the juices will eventually boil off, leaving well cooked mushrooms, greatly reduced in bulk and ideal for freezing. No fat added. 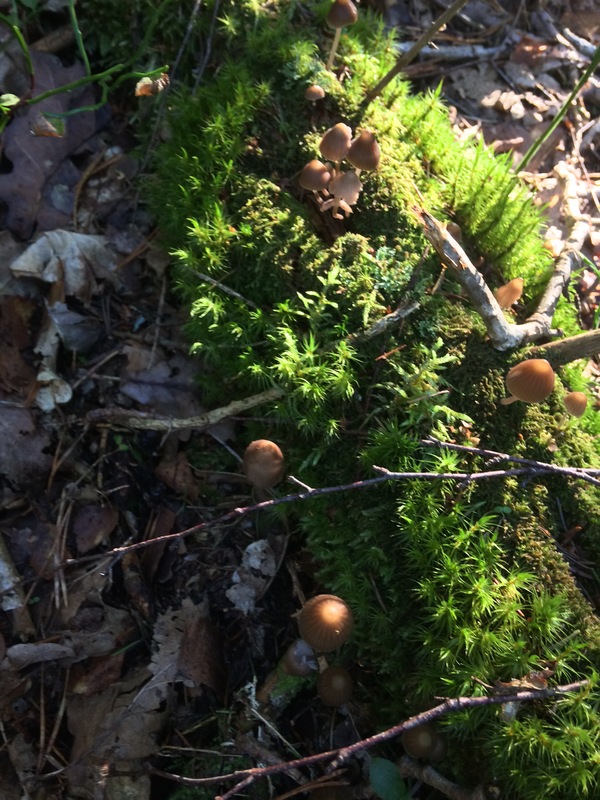 We’re planning more mushroom gathering trips in the near future, so watch this space for updates! Here are a few more mushroom photographs for fun. Might add names later, but I’m posting from phone and it’s a bit cumbersome to flip back and forth between apps.